Our new guest room is open and accepting guests – who wants to come visit?! We love having family and friends stay with us in San Antonio, and it has been so nice to have the space to accommodate them (no more air mattresses!). Since Stella and Hazel share a bedroom, it has freed up two bedrooms for guests which has been awesome when multiple family members are visiting at once. For the past year, this second guest room was pretty bare-boned with just a mattress. With the holidays coming up, I partnered with hayneedle.com to give it a guest-friendly makeover. 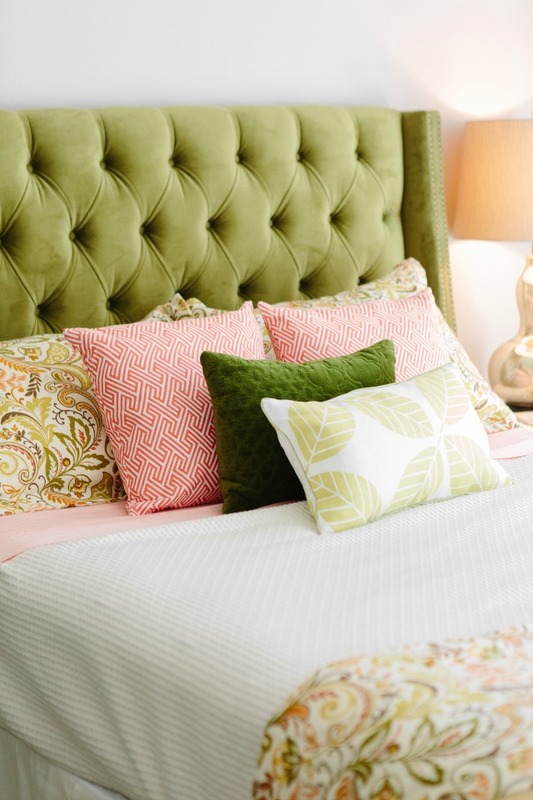 Incorporating a few of their gorgeous pieces such as this plush green headboard completely transformed the room. Ever in doubt with what to put on the wall – especially over a bed or dresser? Add a sunburst style mirror – I promise you can’t go wrong. 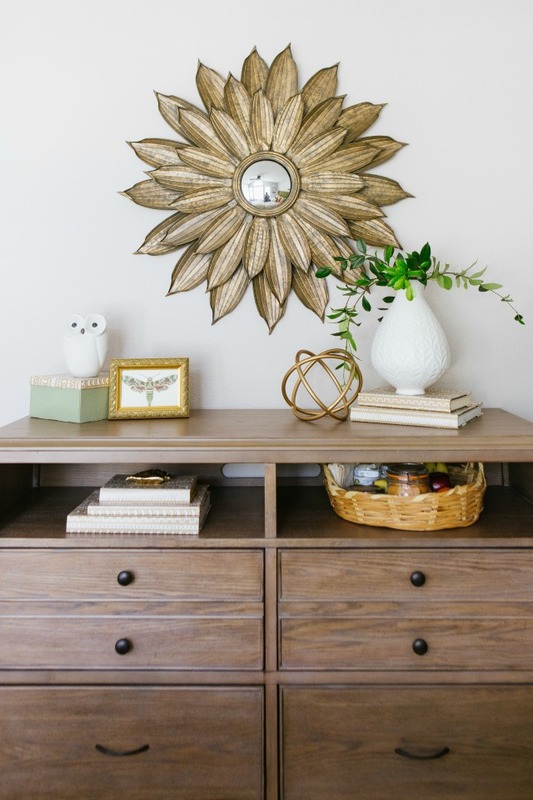 I love the organic feel this metal sunflower mirror brings to the room. We also added a dresser to provide additional storage. I love using this media chest as a dresser because the open shelves are perfect for holding a couple special treats for guests like some reading material and a snack basket. The nice deep drawers offer plenty of storage – I left the top two empty to give guests a place to store their things. 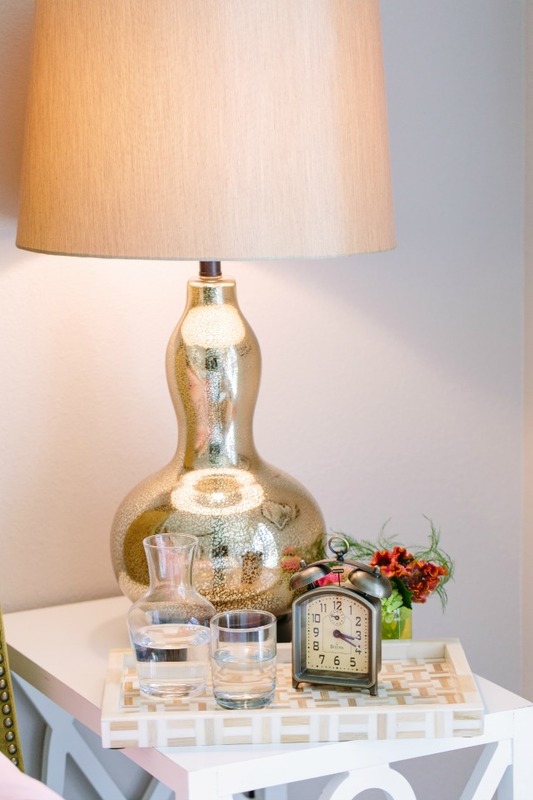 A few additions like a good reading lamp, an alarm clock, and a water carafe are simple changes that made all the difference in the room. Our guests are already fighting over who gets to stay in it next! Planning on hosting guests over the holidays? Head over to the hayneedle.com blog for my tips on how to prepare a special space for them!